Carpeting becomes soiled from stains and foot traffic, and upholstery looks dull and tired from regular use. What can be done? You will be amazed at what can be accomplished when you hire an industry professional who understands how to properly care for your furnishings. Effective carpet and upholstery cleaning is achieved with a skill set that requires hands-on knowledge acquired through years of experience, a wealth of industry resources, as well as great tools and products. 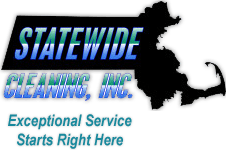 We are not limited by our equipment or tools to any one particular method of cleaning. Because we carry everything with us, we employ multiple methods as needed to achieve the best result possible. Better equipment means better service and flexibility!